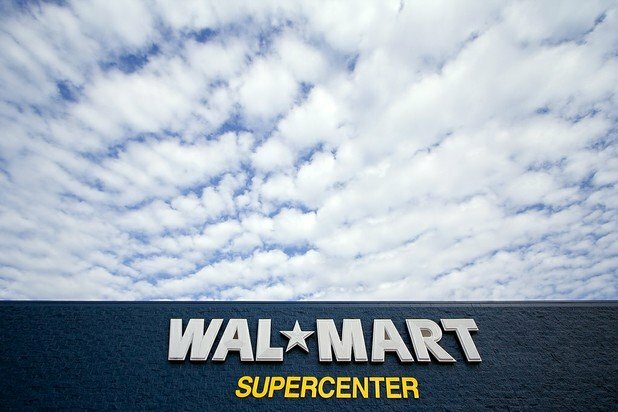 A Michigan Wal-Mart fired Joseph Casias for failing a drug test, even though he is legally allowed to use marijuana to treat his sinus cancer. Medical Marijuana advocates have gathered in front of a Madison Michigan Wal-Mart to protest the firing of Joseph Casias, 29, who suffers from terminal sinus cancer and a brain tumor. Casias uses legally prescribed medical marijuana to control the symptoms of his cancer, but though his marijuana use is legal and prescribed, he was fired after taking a drug test that revealed his use of the drug. Although medical marijuana users in states like Michigan have a legal right to use the drug – their employers still have a legal right to fire them for it. Casius failed a drug test in November, four months after he started using medical marijuana. In accordance with company policy, he was fired for his test failure. Casius says that he never used marijuana on the job or before a shift. He had worked with the giant retailer for 5 years and in, 2008, was named the store’s associate of the year. He says, "I want my job back. I thought I was part of the Wal-Mart family." Keith Stroup, who works on a legal team at the National Organization for the Reform of Marijuana Laws (NORML) says that he gets hundreds of calls a year from medical marijuana users who’ve lost jobs after failing drug tests. He describes the situation, saying, "Usually they talk about how they have lost their job," Stroup said. "And I tell them there's not a thing they can do about it." Most states that allow medical marijuana also allow employers that have no tolerance drug policies to fire medical marijuana users, unless the employee has a contract in writing which allows the marijuana use. In 2008, a California medical marijuana user challenged his firing in court after failing a drug test. The case went to the California Supreme Court, which upheld the employers’ right to terminate employees for failing drug tests, regardless of the circumstances. A Wal-Mart spokesperson commented on the firing, saying, "This is just an unfortunate situation all around. We are sympathetic to Mr. Casias' condition but, like other companies, we have to consider the overall safety of our customers and associates, including Mr. Casias, when making a difficult decision like this". Wal-Mart has confirmed that it will no longer fight Casias’ right to unemployment benefits. Director of the Michigan Medical Marijuana Association, Greg Francisco, weighed in on the situation, saying, “The law is very clear that employees cannot be intoxicated or use marijuana on the job, and nobody is saying anyone has the right to use marijuana on the job. At the same time, we would hope employers would have a sense of decency. The man has terminal cancer. Why would Wal-Mart want to add to that aggravation or stress?" Living only on unemployment checks, Casius can no longer afford cancer treatments. He says that although he’s grateful for all the support he’s received, that he just wants to get back to work to support himself and his family.